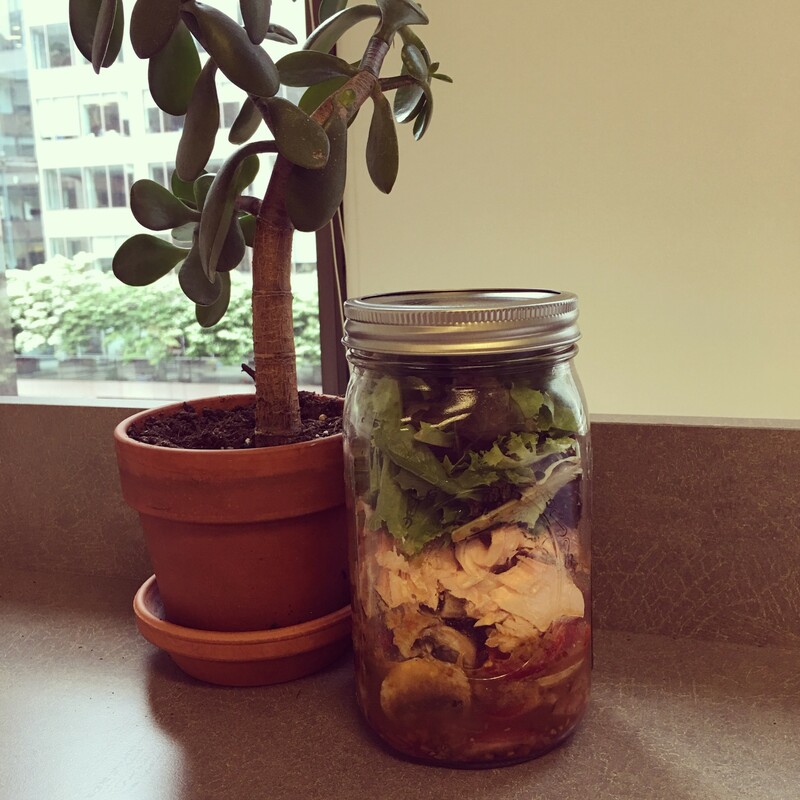 I’ve been on a mason jar salad kick and this is my best-looking one yet. Tomatoes, shallots, mushrooms, ginger dressing, pasta, salmon and salad. Looks awesome Angie! Maybe substitute oyster mushrooms for salmon for me, lol!